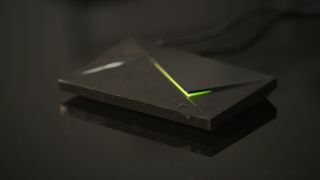 The high-spec Nvidia Shield TV box is a set-top box that’s built for 4K, but there are still far too many of its services that don’t support the new resolution. The situation has gotten a little better today with the box now supporting Ultra HD streaming from Google Play. However, perhaps more interesting is the fact that the box will also now support the new resolution when using Google Cast to stream - meaning that your Nvidia Shield can now replace your Chromecast Ultra. Google Cast support for 4K should work for any streaming services that supports the resolution – although those are a little thin on the ground at the moment. Google’s own Google Play and YouTube platforms support it, as does Netflix, but the other major 4K provider, Amazon Prime Video, does not currently offer Google Cast support because of how Google’s Chromecast competes with Amazon’s own Fire TV hardware. However, over time the amount of 4K Chromecast streaming options is only going to increase, and Nvidia Shield TV owners will be right there to enjoy them. Check our our full Nvidia Shield TV review.